Have you ever heard how the location of a photograph can automatically give you the WOW factor? Well in Cassini’s case, the far flung spacecraft that’s been exploring Saturn for the best part of a decade has just that. It is absolutely relentless at sending back images home across 80 minutes of Space. Take a look at this universally stunning abstract NASA released on June 22nd. 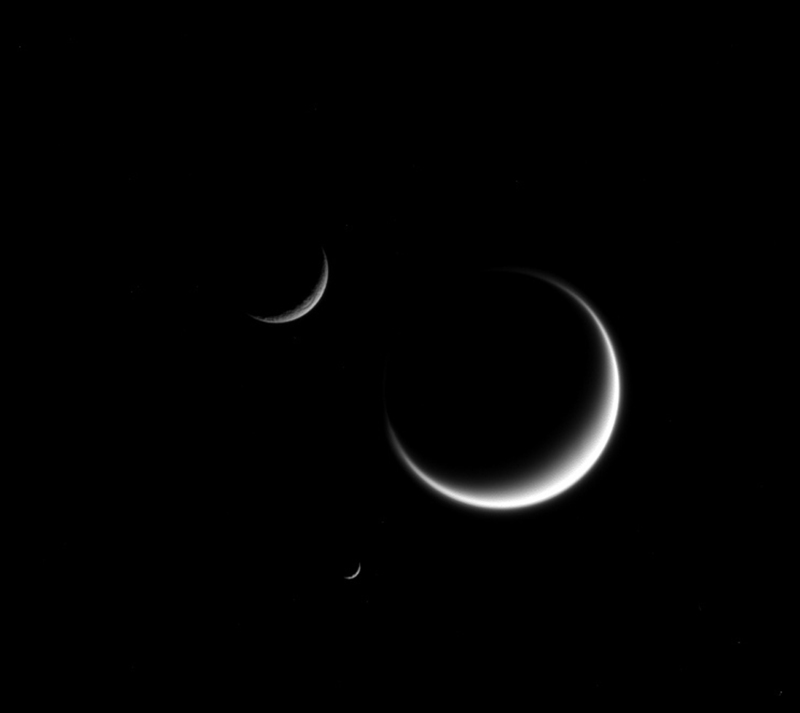 The three moons shown here — Titan (3,200 miles or 5,150 kilometers across), Mimas (246 miles or 396 kilometers across), and Rhea (949 miles or 1,527 kilometers across) — show marked contrasts. Titan, the largest moon in this image, appears fuzzy because we only see its cloud layers. And because Titan’s atmosphere refracts light around the moon, its crescent “wraps” just a little further around the moon than it would on an airless body. Rhea (upper left) appears rough because its icy surface is heavily cratered. And a close inspection of Mimas (center bottom), though difficult to see at this scale, shows surface irregularities due to its own violent history. Cassini is no stranger to mixing science and art. Four years ago Chris Abbas compiled all of the travelling photographic Spacecraft into a masterful time lapse. It’s certainly worth watching again. Via 500PX ISO. Image credit NASA. Introducing the hotly anticipated FLIR ONE for smartphones. A small adapter that plugs into your lightning connector (or alternative) to produce an Infra Red image. At just $249 in the US and £199 in the UK, you can now easily afford to experiment with non-visible wavelength light using your phone. HEY, MY SAUSAGES ARE COOKED, YAY. Now this is an idea worth exploring. Artist & fashion illustrator Shamekh Bluwi has been cutting out holes in some of his work to allow the scene behind to ‘paint’ the sketches. He’s been sharing the creative idea through a series of photographs on his Instagram account. Facebook has an Algorithm called DEEPFACE that can recognise the Back of your Head in Photos. It’s increasingly apparent that artificial intelligence’s inevitable ascension as the dominant species on our planet (and beyond) will not come as some have predicted in an instant, but a slow, invisible growth. The latest advancement in AI comes in the subdued revelation by Facebook that it now has an algorithm that can tell us all apart from the back of our heads. 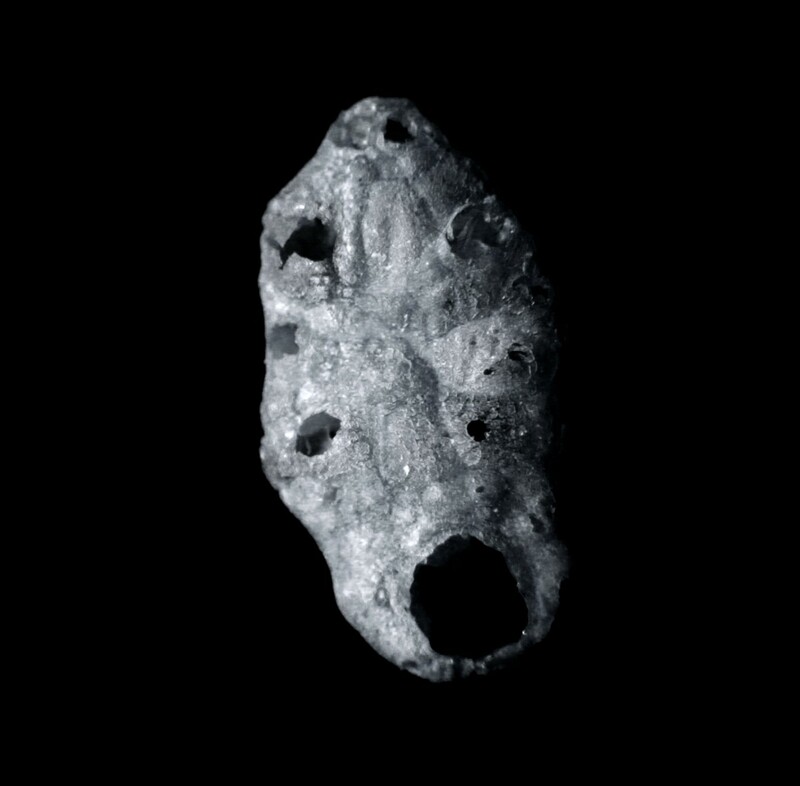 The announcement of DEEPFACE came and went mostly unnoticed. The final algorithm was revealed and demonstrated by Facebook last week at the Boston CVPR 2015 conference. It’s been reported that Yann LeCun, head of Facebook’s artificial intelligence division says it worked with an 83% success rate after reviewing 60,000 public photographs of 2000 people from Flickr and running them through a sophisticated neural network. This figure rises significantly if a frontal face is recognised to 93.4%, making it possibly as accurate as a human brain. The algorithm works quite simply by recognising silhouettes, clothes, hair colour and other distinguishable features that a person may be identified by and comparing them with other photographs. LeCun states that it easily recognises Mark Zuckerberg because he’s always wearing the same grey T shirt. There is little doubt that future progress in computer vision will require breakthroughs in unsupervised learning, particularly for video understanding, But what principles should unsupervised learning be based on? Last year we reported on how the ‘Wobble in a Handheld Video can be as Unique as a Fingerprint‘ and perhaps this will involve further implementations for Deepface. I for one would prefer not to be recognised by my behind, however if this is the future our society holds it’ll spur me on to dress better and certainly lose a few pounds to confuse those pesky Facebook neural networks. Moronic Family Stand by Photographer’s Decision to Take THIS Photo. What is fast becoming the most idiotic cliche a photographer and his or her subjects can take part in has earned this particular family an Internet backlash it (probably) deserves.